A summer dinner so delicious, you won't believe it is loaded with veggies! 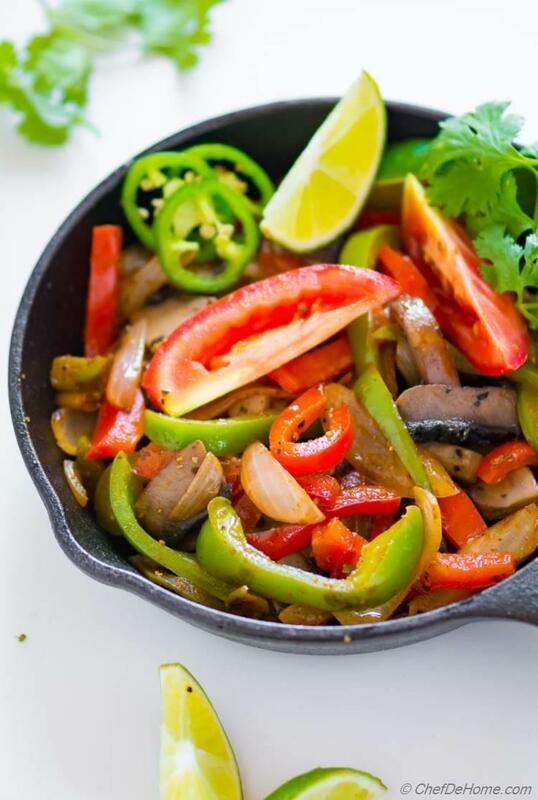 Bringing vegetarian mushroom fajitas to your meatless Monday dinner! Lite and healthy, loaded with zesty flavors for a delicious summer dinner. When I get craving for vegetarian fajitas, I start looking in refrigerator for ingredients for inspiration. I had a batch of Homemade Fajitas Seasoning in pantry that fueled my cravings even more! Portabello mushrooms, bell peppers, onions, zippy fajita seasoning... and my kitchen screamed sizzling veggie fajitas. 1) Lite, healthy and Fast weeknight summer dinner. 2) At least two serving of veggies per person. 3) Loaded with veggies and also ton of flavor with spicy-smokey Fajita Seasoning, crunchy vibrant peppers, earthy mushrooms with splash of lime juice. Does this sound like a delicious summer dinner or what?! So, let's make some healthy vegetarian fajitas! Our move-out was so near when I made these veggie fajitas. It was also perfect opportunity to clean-up the fridge. Vishal would only chicken fajitas.. 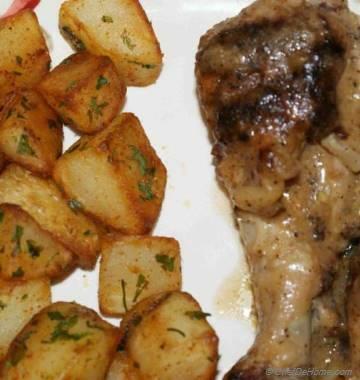 So I made some chicken for him. We often use homemade tortillas for fajitas but for this batch I just used good quality store bought tortillas. All in all, it was a great dinner. I'm sure you will love it for Meatless Monday Summer Dinner! 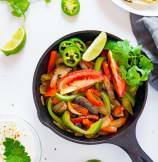 These veggie fajitas are also quick to put together because there is no marination time. Unlike chicken fajitas, no-marinade fajitas work fine for vegetables. To make these fajitas, I combine olive oil, lime juice, minced garlic, and fajita seasoning in a bowl. Toss in veggies and set aside while I heat the skillet. Once skillet is hot, I first cook the mushrooms. Cooking these first and separate from other veggies is very important. Mushrooms take a little longer to cook. Also, water released from mushroom will poach the veggies instead of crispy-tender saute. So, please make sure to cook mushrooms until these are tender. Then add veggies and saute on high heat until peppers and onions are crisp tender. That's it! A little splash of lime, some fresh sliced green chilies, a little bit of salsa and cream (if you prefer)! 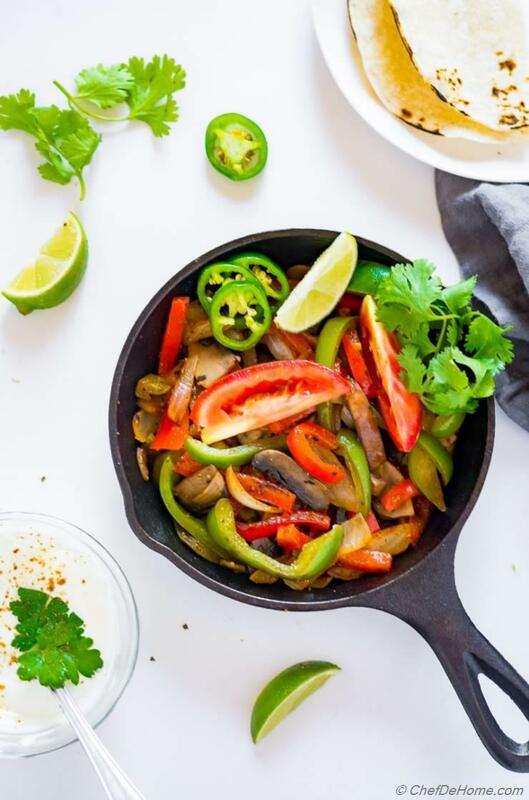 Healthy fajitas are ready to brighten up a summer weekday dinner! I hope you will enjoy these vegetarian fajitas as much as we did. 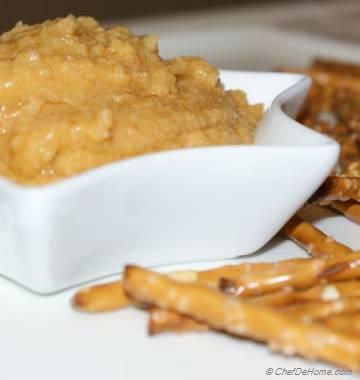 PS: This recipe was first posted on August 2013. I have updated the recipe with new images. 1. Slice mushrooms, bell pepper and white onion lengthwise. 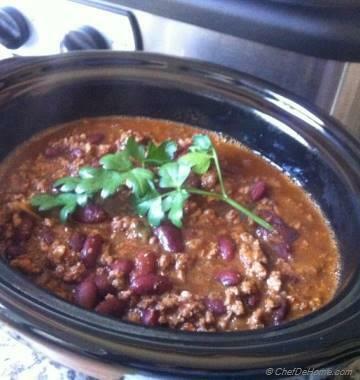 Combine olive oil, lime juice, minced garlic, and fajita seasoning in a bowl. Add in bell peppers and onions. Set aside. 2. Heat 1 tbsp oil in preheated cast iron pan, add sliced mushrooms. Sprinkle with generous pinch of salt and black pepper. Saute until mushrooms are tender, has lost water content, and have started to caramelize. (about 5-7 minutes). 3. Add sliced bell pepper, onion along with marinade and saute until onion-peppers crisp tender. We want to keep bell peppers crunchy, so just cook these briefly about 2-3 minutes. 4. Top with sliced tomatoes and fresh chopped cilantro. Splash fresh lime juice on top. Warm tortillas. Serve on side of hot fajita's skillet. Enjoy! this looks yumm, I love fajitas. Ooh, can't wait to (try to) make this when I go back home for break! @Imani M, I am glad you like this Healthy Fajitas, can't wait to hear from you when you try'em. Cheers!! Fajitas are my all time favorite, you have good pictures and nice website!! !